Really? You should see it if you RDP into the WHs2011 directly (not via the web). 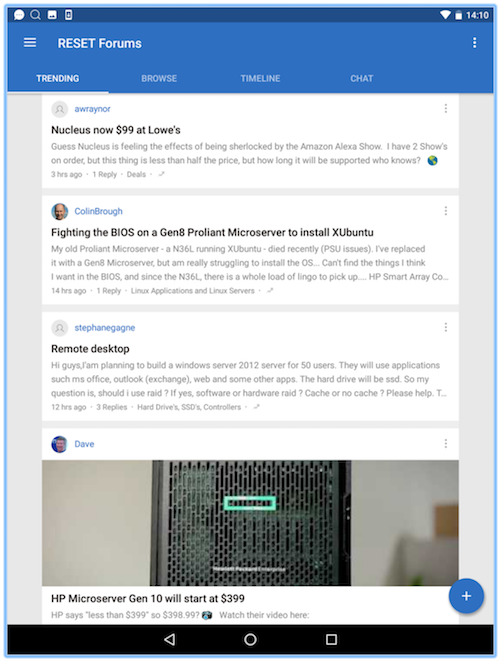 Right in the middle of the desktop wallpaper, which is very light blue, is white text on a bit darker blue that says not to use the server for general purposes. Well of course, that goes without saying, that is clear. However this issue occurred in the set up procedure which is not a 'general use' issue. it is a bug and I will report to Microsoft via Technet in due course. There's no way that one part of the software should not talk to another part, especially when so fundamental. WHS is a fantastic concept, but it needs some work by MS to perfect it. Ah, I must have misunderstood. No insult intended. I just now came across this problem after deploying WHS 2011 in town last week, miles from me of course. Can someone tell me if the remote machines wan ip is enough to connect to the whs 2011 machine? I have full admin rights, one normal user account for myself and also get the Dashboard when I try to connect using the Remote Web Access feature. I tried using RDC from my Windows 8.1 machine at home but it keeps telling me the machine is not connected or turned on, which I know is false. So what is the proper syntax for the Computers RDC url below? Just the external IP and port 3389? And do I use the admin account that I used to build the machine or the user account I created for myself in the Dashboard? I expected the server to have RDP enabled by default so is this not the case? Lol, do I need to take that 30 mile trip to my server to fix this oversight? Sorry if this is obvious but I have tried everything, the IP and port, the domain name, everything and either I have the format wrong or the firewall is blocking RDP. If the firewall is blocking RDP why can I access the Admins Dashboard which is also using RDP? Any tips would be helpful. This is the first time I am managing a WHS 2011 server from outside a Network. My other servers are all within my home network and work great with RDP. I just do not remember what I did to set it up as its been a few years now. To get direct RDP to work externally you will need to ensure that the network router has port 3389 forwarded to the server, so that all traffic on port 3389 from the internet to the WAN IP gets forwarded to your server. You may also need to open that port (or enable rdp) through windows firewall on the server. This should then allow rdp traffic to the server direct from the internet. Ok thanks DJMatty, that answered all my questions. Sure enough I do not remember enabling "Allow Remote Connections to this Computer" and I did not port forward any ports on his router yet. I built this server for my little brother who lives a ways away from me. He is a Comcast employee so he has Comcast Business Class Extreme 150 and well I figured I could be his admin and do things, maintenance etc while he is working. He has no experience with Home Server but I been using it since the v1 days. The only reason I wanted to RDP to the desktop was to install an FTP service so I could get around the Web Access transfers. But that also requires access to the Router. Do you know if RDP will give me access to his Router? Or is this a bad idea from outside the Network? Routers normally just present a web page for admin tasks, so once you have rdp, you should be able to open a browser to the router's LAN IP whilst you in an RDP session on the server and do admin tasks from there. Of course this does require that the router/server is configured to allow rdp to the desktop in the first place. 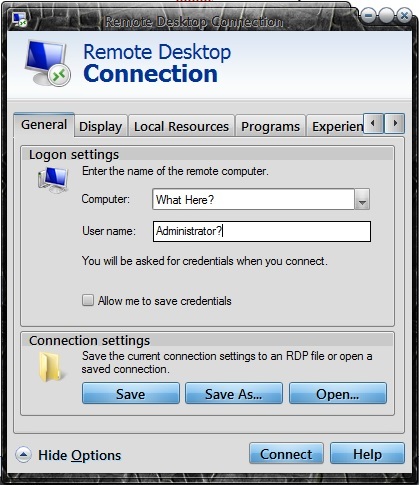 One way that could save you the trip is if you talked your brother through adding the registry setting to the server that allows rdp desktop access...? A better idea for all of this is a VPN so the traffic can be encrypted. Nothing against VPN, but the RDP is using HTTPS. It's not tunneling. But we all know how secure https is, right?